Board Systems, Americas and applied, the charts are available. 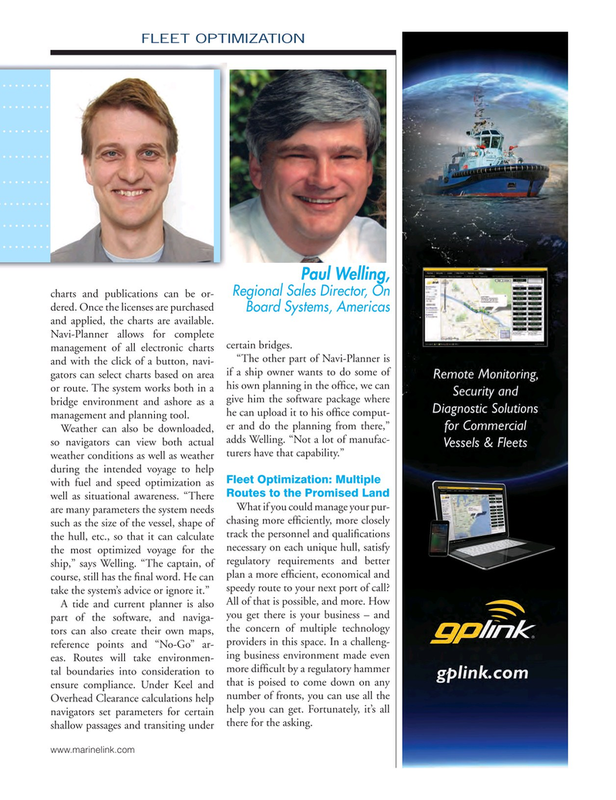 Navi-Planner allows for complete management of all electronic charts certain bridges. “The other part of Navi-Planner is and with the click of a button, navi- gators can select charts based on area if a ship owner wants to do some of or route. The system works both in a his own planning in the of? ce, we can bridge environment and ashore as a give him the software package where he can upload it to his of? ce comput- management and planning tool. Overhead Clearance calculations help number of fronts, you can use all the navigators set parameters for certain help you can get. Fortunately, it’s all shallow passages and transiting under there for the asking.